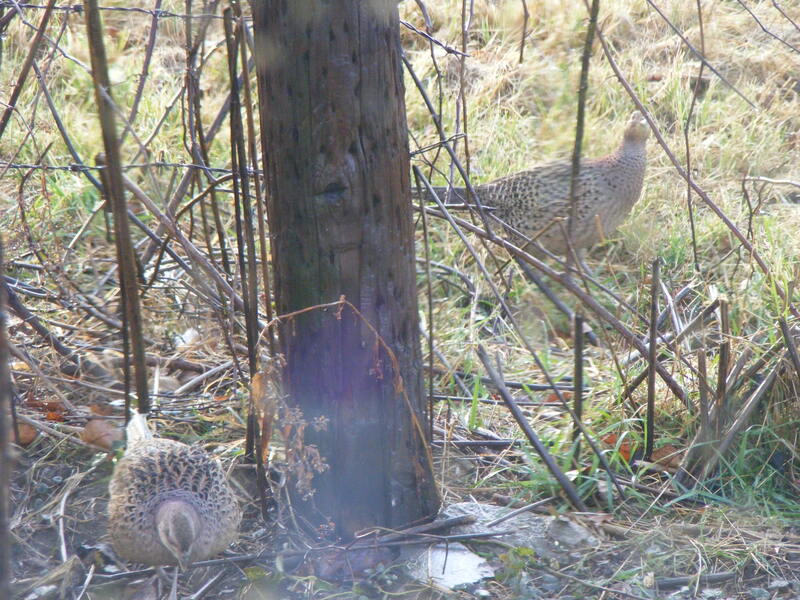 These two hen pheasants showed up last fall and stayed for some time. Each morning they would come in search of grub! And they never used FOOD COUPONS !! 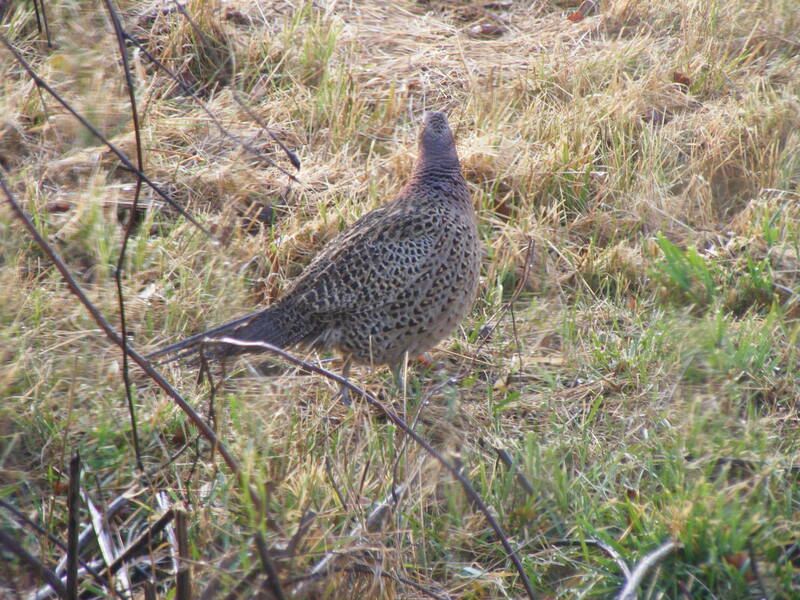 They could be heard all day in the brush out back. Hope no BRUIN gets them this winter! Enjoy!